Read the latest news articles from Torton… Air Ambulance fund raiser. Welcome to Torton Bodies Limited... 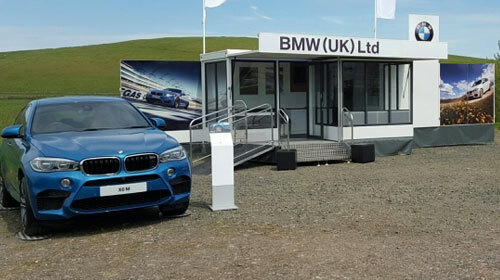 The UK’s Leading Suppliers of Mobile Exhibition Display Vehicles, Event Trailers, Exhibition Trailers and Mobile Exhibition Units. Our motorised conversions range from 3,500Kgs to 28 tonnes, and we currently find the 3,500 Kgs category the most popular due to the ease of operation. 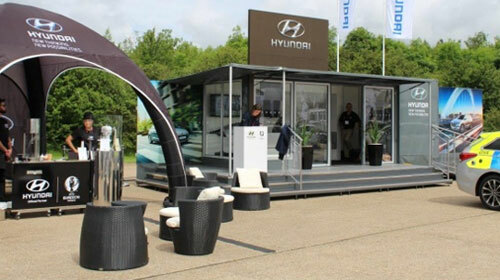 Torton Bodies design and build bespoke mobile exhibition trailers and vehicles to provide radical and innovative solutions to the exhibition industry. 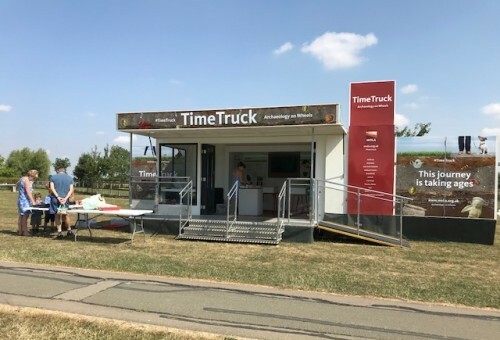 Based in the centre of the UK, we are ideally situated for the transport and management of our customers' own event trailers, mobile exhibition display vehicles and exhibition trailers, as well as our own mobile exhibition hire fleet. 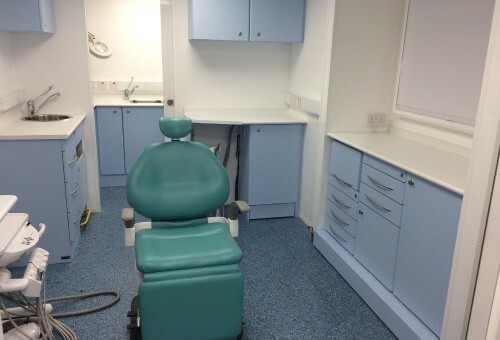 Torton have recently added to their own hire fleet with the addition of a single dental clinic trailer. The trailer is rated to 3,500Kgs and comes equipped with nearly everything you would expect to find in a static dental surgery. 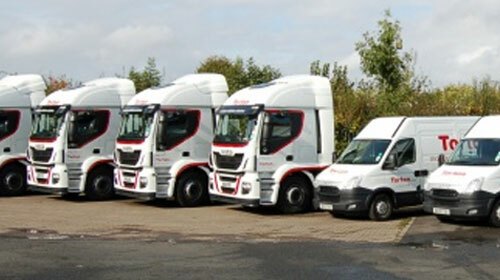 Torton have been supplying mobile occupational health vehicles for the past 20 years to a variety of clients. Some clients opt for the custom build Torton body providing anywhere between 3.2-4.5m in length and a nice sizeable space to work from. 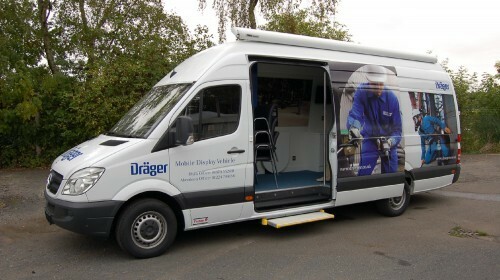 Other customers require a more conventional van fit out, using a long wheel base and high roof option. MOLA selected Torton to carry out the transport management and hire of a Torton T7 or X7 subject to the event, which have taken place across the country. 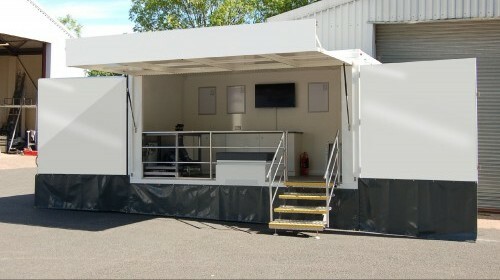 Hewlett Packard Germany are about to embark on another road show using their Torton Built 13m Articulated Trailer. With minimal refurbishment, the trailer built in 1996 has travelled all over the world. Many journeys have been challenging in particular dealing with extreme temperatures ranging from -25º in Scandinavia up to 50º in Saudi Arabia as well as a hostile encounter in Africa. For over 140 years Vaillant have been developing and manufacturing innovative heating and hot water systems. AEG Powertools are off on a roadshow around Europe to showcase their latest tools. IKEA, the iconic Swedish home furnishing company, is celebrating 25 years in the UK with a 25-day tour visiting 17 towns close to its stores. The tour started on Thursday 11th October and culminates at Warrington which was the first store opened in the UK. Torton Bodies Ltd, a Midlands based mobile exhibition manufacturer, built the prestigious Coca Cola’s City Beats mobile exhibition unit, designed and commissioned by Line Up - the centre piece for the London 2012 Olympic Torch Relay City Celebrations. 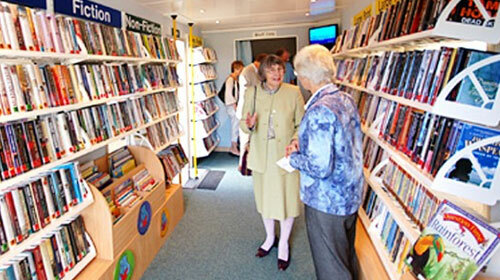 Torton were commisioned to build Gwynedd Council their latest mobile library, enabling them to take the library service to the residents of Gwynedd and especially the schools within the county. Over the years Torton have supplied Worcester Bosch Group with a variety of products for their various brands and requirements. 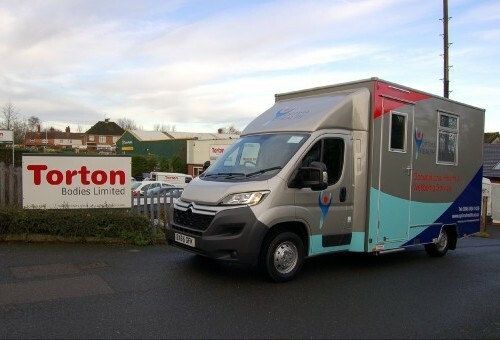 More recently Torton were chosen to manufacture their latest marketing vehicles, to be spread across the country and be able to demonstrate to their fitters and end users what Worcester Bosch have to offer. 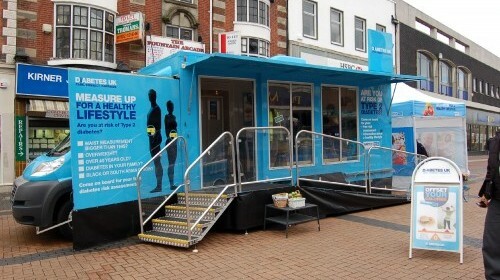 Following on from 2011 success, Diabetes UK rebranded and refurbished Torton’s three identical motorised clinics to participate in the 2012 Healthy Lifestyle Roadshow. 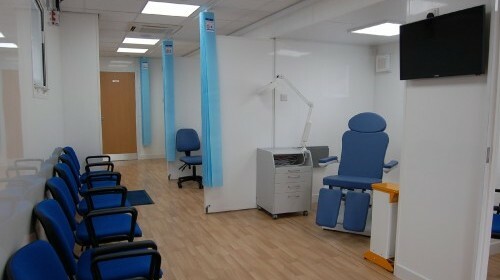 The units were designed and built for Diabetes UK and cover the UK. The motorised testing and information promotion units offered: a Type 2 diabetes risk assessment, advice from expert dieticians and an opportunity to participate in a physical activity zone. Torton Bodies beat off stiff competition and won the contract to design and build one motorised display vehicle and two 12m artics for the forthcoming Jacuzzi® Hot Tub Showman’s tour across Europe. A fleet of 8 purpose built 'Fundraising Display Vehicles' for Guide Dogs for the Blind may soon be visiting a town near you. The vehicles were commissioned to help raise the profile and awareness of Guide Dogs and also to assist in fundraising activities. Vision Techniques came to Torton with a brief to source a motorised exhibition unit on which they could attend a number of shows and exhibitions throughout the year. They wanted something inviting, have large branding opportunities and enough floor space to entertain clients and demonstrate their products comfortably.